Comic book movies in general have a bit of a reputation for being grim and serious, and though few films are as dark as Batman V Superman or The Dark Knight, the grimness of X-Men: Apocalypse stood out to a lot of people simply because of how unnecessary its grimness seemed. Both X-Men: First Class and its sequel Days Of Future Past were pretty fun movies, but Apocalypse seemed to sacrifice some actual character interaction in order to make room for more epic mutant battles. Now, though, an Apocalypse scene that was left on the proverbial cutting room floor has resurfaced, and it just might be more fun than the last dozen or so superhero movies combined. 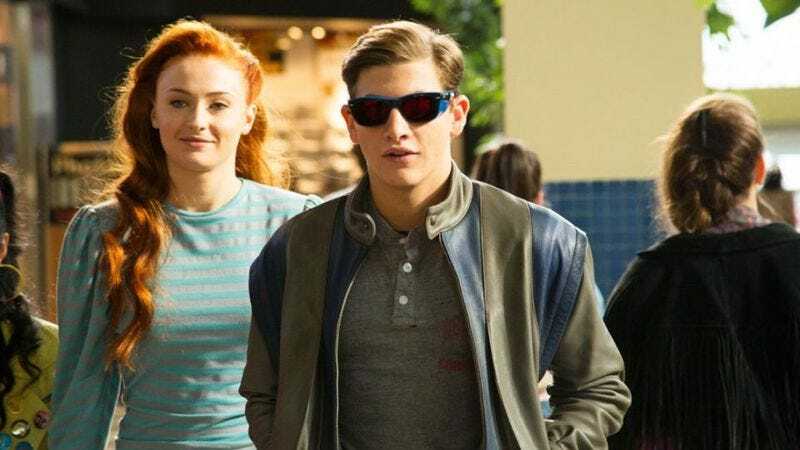 The scene centers around four of the movie’s newest mutants—Sophie Turner’s Jean Grey, Tye Sheridan’s Scott Summers, Kodi Smit-McPhee’s Kurt Wagner, and Lana Condor’s Jubilee—doing some teenager-y things at a mall. Set to “Safety Dance,” the brief scene is simple, effective, and it arguably fleshes out these four characters and their mid-’80s world way better than a huge fight scene ever could.